Like any other succulent plant, the soil must have good drainage and must be porous because, in this way, the roots of the plant can expand without any problem. There are different ways to prepare the adequate substrate for Pachyphytum plants. The most common is using a combination of a substrate for succulents and pearlite or sand. When choosing the right container to sow the Pachyphytum seeds, you have two options, to opt for a seed tray or sowing in a small pot, then transplant. Whatever you choose, you will need a plastic wrap, a glass, a paper, or something that serve as a cover for the pot. Once you choose the container of your preference, proceed to fill it with the substrate and Add plenty of water and leave the container, so that the water has some time to decant. The Pachyphytum seeds are quite small it is understandable that maybe, you do not want to touch them with your hands, in this case, you can use a white paper or something flat that allows you to spread the seeds over the soil. Then, with the tool you chose, gently press the seeds on the substrate. If you proceed to this process with your hands, be careful, and do not mash them or let them slip from your hands to the floor. Cover the pot with plastic wrap or put it in a plastic bag to keep air humidity. Do not open it until successful germination. If there is enough humidity inside bags there will be no need to open it and water again. If soil is drying out during germination process that means that it isn’t watered well or not covered good with zip bag or similar. Maintain temperature of 18°C-21°C (65°F-70°F) but during the night it can go down to 15°C (59°F). Once the seedlings are visible, and you remove the cover, you have to little by little let the seedlings get accustomed to the sunlight. 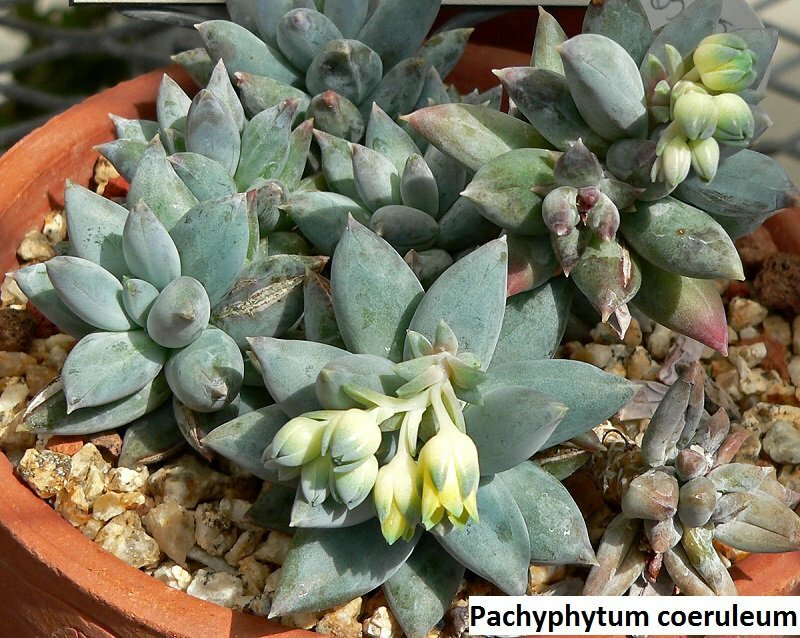 Pachyphytum plants love the sun (when they are already plants and not seedlings), they can support direct sunlight, but there are occasions when the sun is quite intense that the plants need to be in a small shade. Despite the fact, these plants are sun lovers they can also support a shadowy place, though, this may lead to foliage less bright, and flowers may differ from the plants that grew with sunlight. The perfect temperature in winter for these plants should not exceed 5º C (41º F), for summer the maximum temperature is 35º C (95º F). When winter comes you should keep the substrate as dry as possible, in this way, they can withstand the cold. During the growing phase, it is recommendable to use fertilizer once a month. 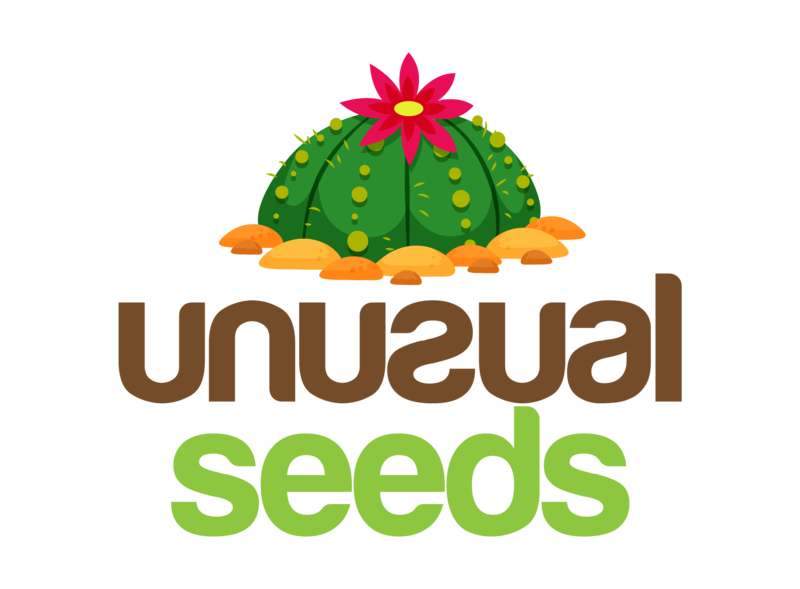 The cacti fertilizer works well with Pachyphytum seeds. However, you can use one of your preference. Finally, when the plants are ready to transplant do not forget to remove the weak ones, only transplant the most robust and biggest. Keep in mind that weak plants are prone to contract more diseases so, it is not a good idea to maintain them. Watering: Pachyphytum plants support aridity very well so, they do not demand a lot of water. You should water them only if the soil is dry or the leaves at the bottom are a little down. Summer is the time when they require more water than ever, water them once a week, though, if the weather is pretty hot and you notice that the plant and the soil are dry, water them every five days. In winter, you must water them once in a month, and they will support the low temperature. Finally, in spring you must water them one time every seven days. Light: like I stated above Pachyphytum plants love the sun, specifically direct sunlight but sometimes due to a bright sun, the plants must have a partial shadow or maybe, the sun is no bright where you live, and the plants are in a shadowy place. Note that the blossom and foliage of the plant will depend on the amount of light it receives. Cutting: To propagate these plants is an uncomplicated process. The first step you have to take is to locate the young leaves (usually at the center of the plant) and proceed to cut one or as many as you prefer. Let the leaf or leaves dry out for one day, doing this will allow the wound to become insensitive. Once the leaf is dry, it is recommended to use a rooting hormone to accelerate the process, though, many people do not use it, and they have successful results. Then, the next step is to put the leaf inside the substrate or let it laying over the soil. Pests and diseases: avoid touching the leaves of the plants because we human have natural oil in our skin so, if you have contact with them you will leave oil on them, and it can cause damage. Excess of water may lead to rotten root or rotten leaves, in case of overwater throw away the damaged roots or leaves, besides that, this is a plant that does not attract many pests, but you should be careful with the mealybugs. The mealybugs will stop the growth of the Pachyphytum plants, though, the plants stop growing in summer because they are resting, if it is not summer and your plants are not growing, check the bottom of the leaves as well as the roots. Weather: these plants are good to have because they do not require many cares but there is something that these plants can’t stand frost. When frost dates are coming, be sure to give to your plant the needed attention to protect it.